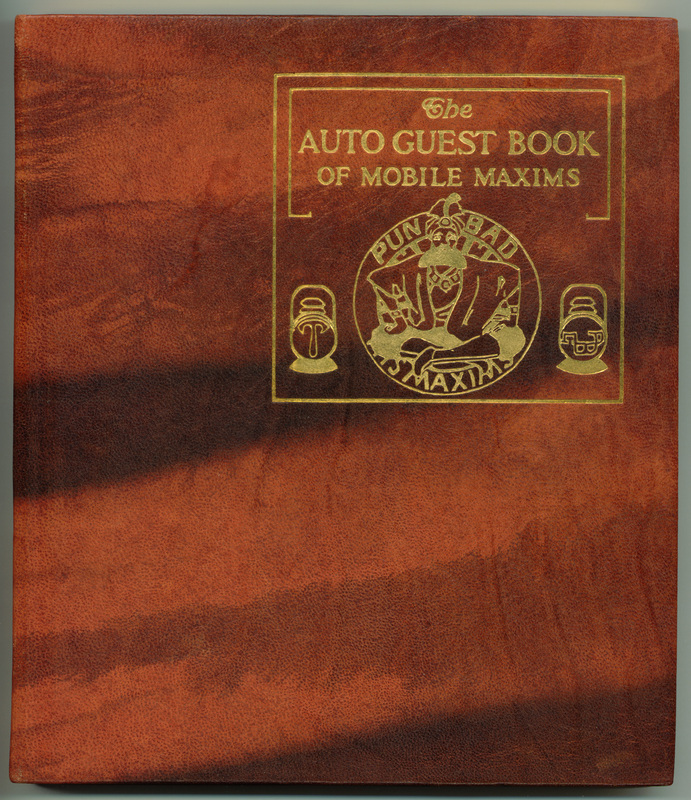 On an inventive twist from a guest book designed for the guest bedroom, here is a guest book designed for one’s automobile. 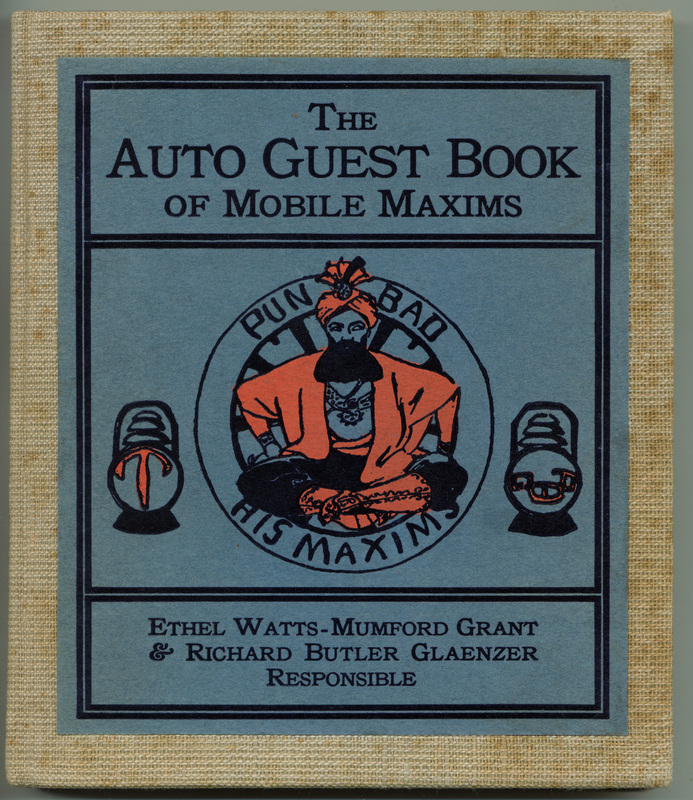 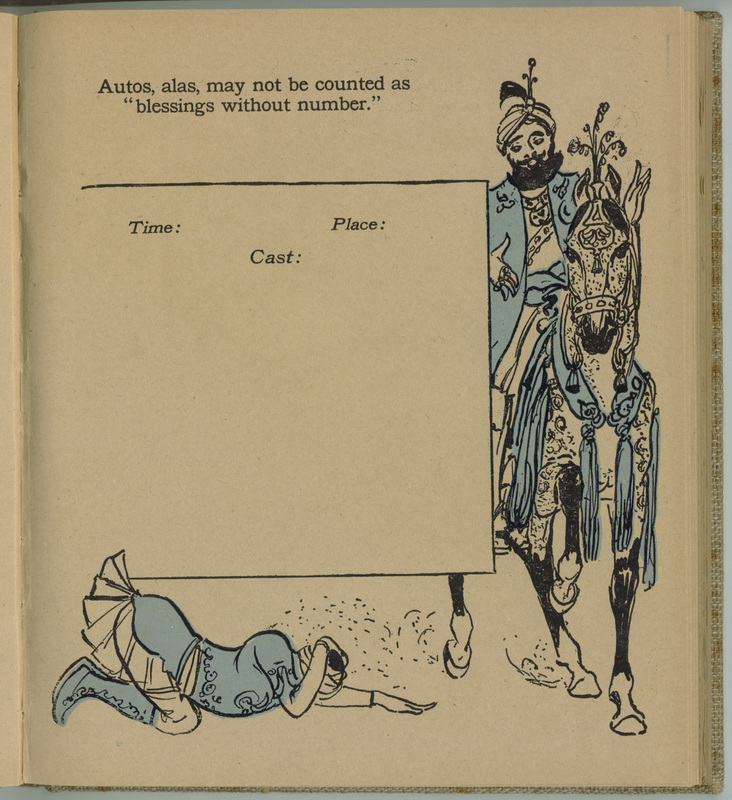 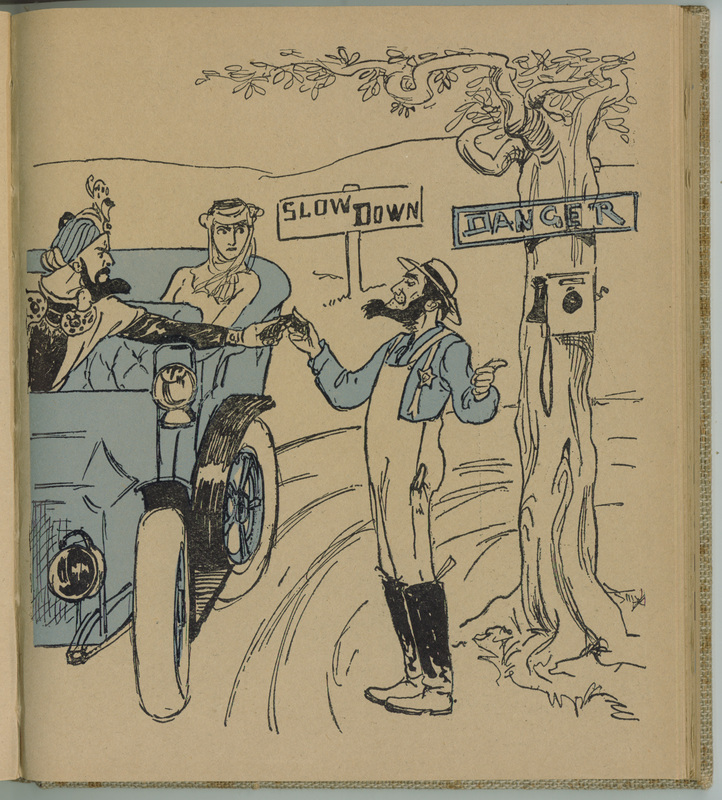 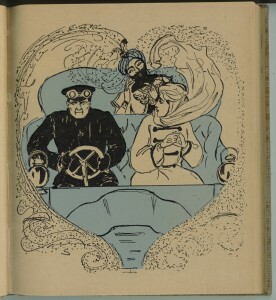 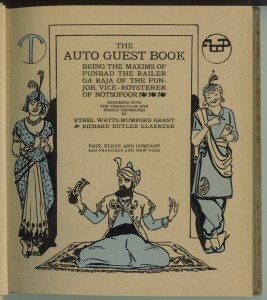 The Auto Guest Book was published in 1906 on the heels of the success of the early Cynic’s Calendars, with the illustrations and aphorisms by the team of Ethel Grant (1876?-1940) and Richard Glaenzer (1876-1937). 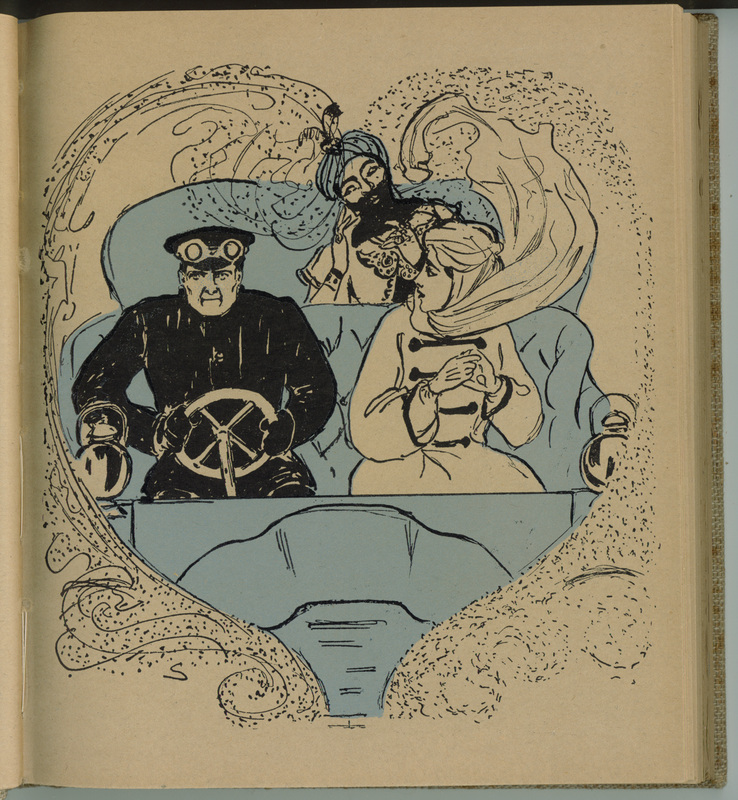 In 1906 automobiles were still toys for the rich, beyond the means of most Americans. 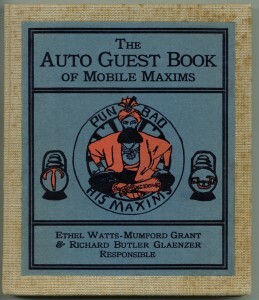 Nevertheless, Elder presumably had enough car-owning customers to justify this book. 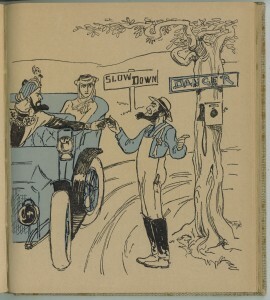 Paul Elder was not immune to the use of ethnic stereotypes, though fortunately he only published a few such examples. 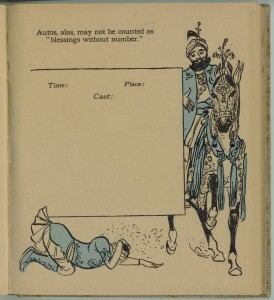 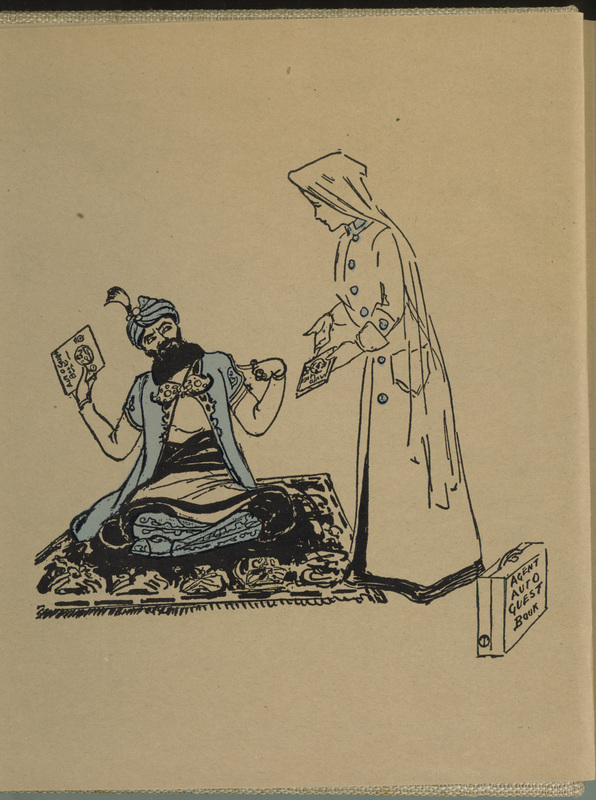 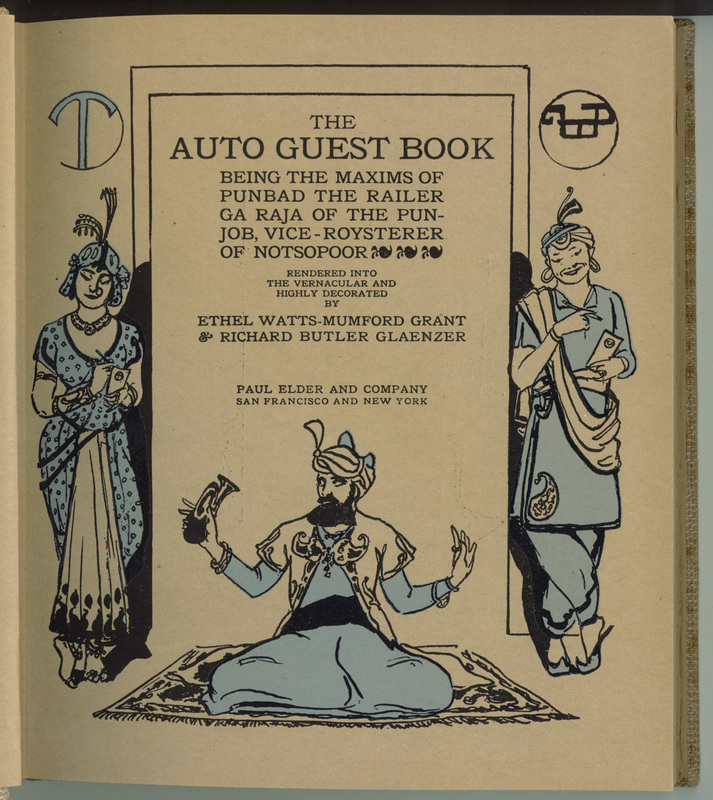 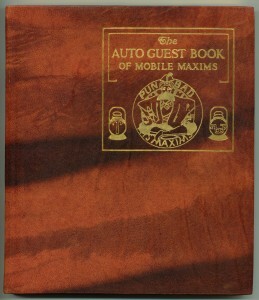 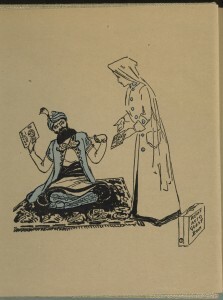 The Auto Guest Book has a “Sheikh of Araby” theme, with maxims by “Punbad the Railer,” and illustrations of turbaned men, veiled women and Oriental carpets.